Christmas is coming, so it’s time to start planning holiday parties. 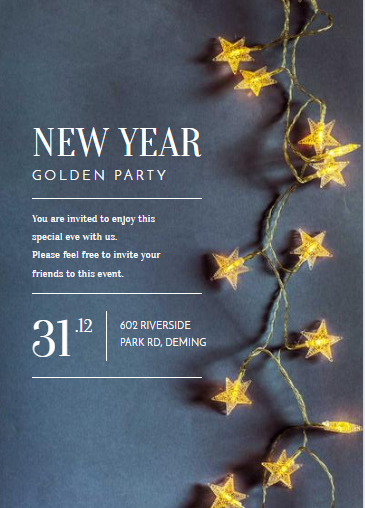 Make a list of guests, prepare the agenda and let us help you design and amazing event poster. Whether you want to hang it in your office or to post on social media – you need to make it eye-catching, informative, and well-designed. A good poster will help you attract people’s attention and drive them to your event. For many people designing seem a daunting task, however, following several basic rules you’ll be able to do it fast and even enjoy the process. The hardest thing when creating designs is always to start. Start with a search for inspiration – look for even poster designs in Google or on Pinterest, select the ones you like and find out what they have in common. It can be a good starting point and you’ll be able to start designing your own event poster. 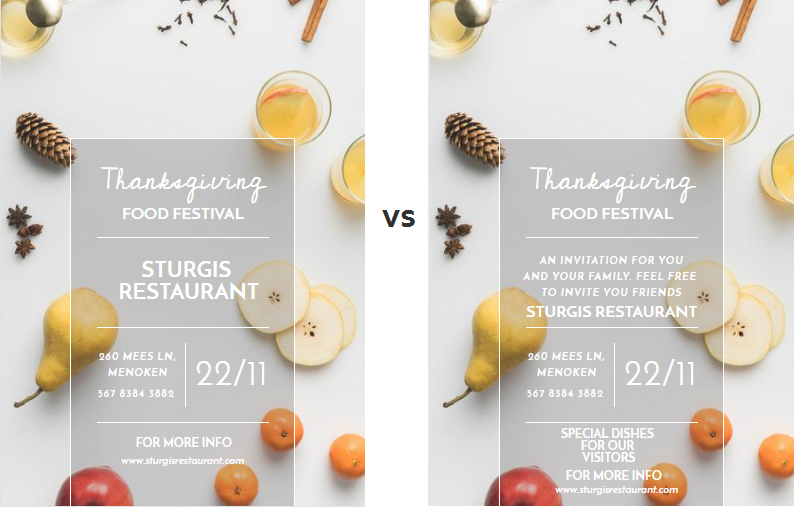 There are hundreds of ready made-templates you can use to design an event poster. 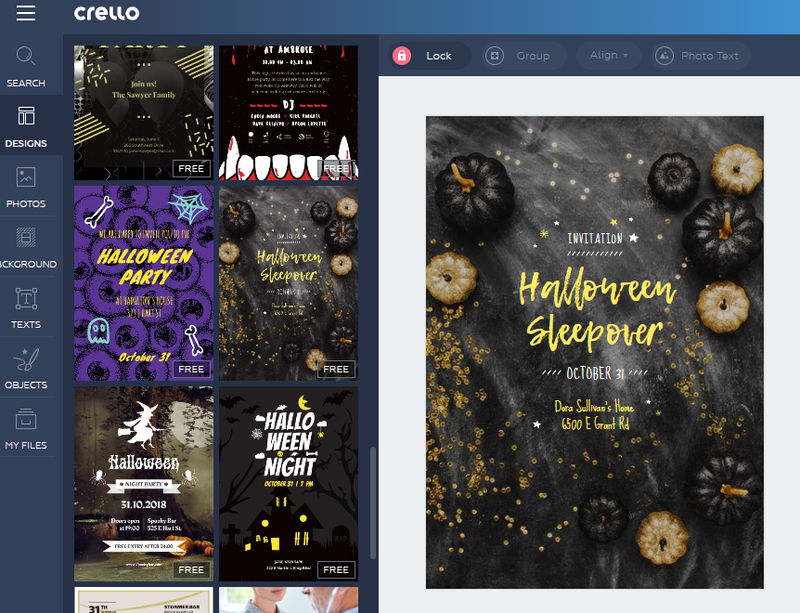 There are platforms like Crello, where you can select templates and add your images and texts. The interface is intuitive, you can change elements easily and adapt them to your events. 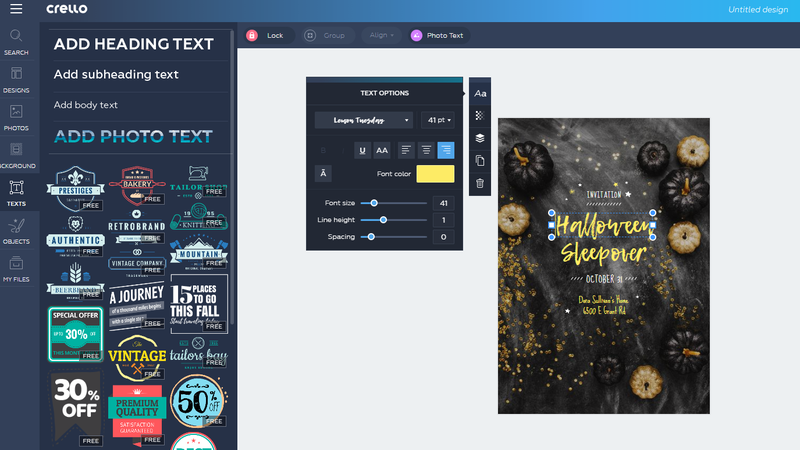 You don’t have to combine images, texts, and colors – just select the template you like and add your details. 1. Go to Crello and select “Events” in the upper menu. 2. Click on “Invitation” and select the template you like most. 3. Adapt your template to your event. You can change text, images, size and add any other elements to your design. Some people believe that the more information you provide in your poster, the better. That’s why you can sometimes see designs filled with text on the topic of the event, time, prices, early bird tickets and even directions on how to get to the location. 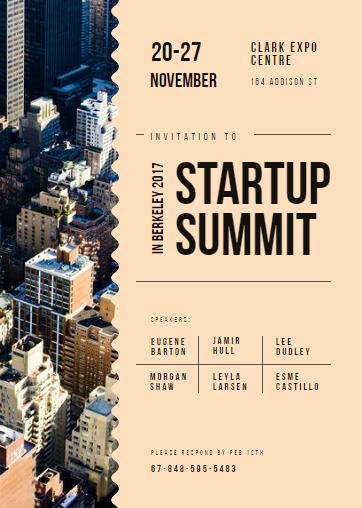 However, the secret of a good event poster design is minimalism. Try not to overload it with information. Let people notice the important information first and show them the place where they can get other details. It should take only several seconds for people to understand what your event is about. Of course, you can add any other information, however, try to balance it wisely with negative space. The most important text should be the largest. It will help you attract the attention of people who are interested in your event. You can create a typographic hierarchy using size, colors, typeface, and position. 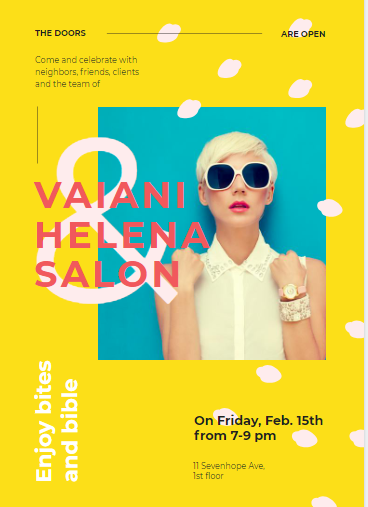 Combining fonts in different ways can give your event poster a whole new look, so it’s a good field to experiment with. Depending on the object of your poster you can emphasize different ideas. Usually, the main heading is the theme of your event. Make date and time visible as well, as many people will look for that information. Use the smallest font sizes for the details. Make important information bold to attract attention to it. Every day we face much more information than we can process and our minds immediately discard information we don’t need. That’s why you need to create something really relevant and bold to catch people’s attention. If your event poster is hanging on the bulletin board it’s competing with other posters for people’s attention. Use bold colors, contrast, don’t be afraid to select visuals that catch people’s attention. Think of a creative headline that sinks into the mind. Be creative and people will notice you! Irrelevant or low-quality images can spoil even a perfect design. You can choose one good photo or select several different images and create a collage. Try to choose something relevant to the topic of your event and don’t hesitate to buy an image – it doesn’t cost a lot and you will be sure that you don’t violate copyright and can legally use it. Choose the image in high resolution, especially if you are going to print it. Designing an event poster can be fun and, moreover, you’ll be able to enhance creativity and your design skills. And if you don’t want to go into a design – choose ready templates and adapt them to your idea. We hope our tips helped you. Good luck!